While browsing web builder reviews, please note: WYSIWYG is wonderful and drag-and-drop design is great for beginners, but there's more to website creation and maintenance. You need a provider you can trust long-term. Our experts tested the top site builder hosts, and the following table reveals the top 10 website builders of 2019. Looking for something other than website builder? Before you go diving into drag-and-drop land, read over our thoughts on choosing a website builder host. Our web builder reviews represent one of the most fun parts of my job. Getting to play around in the backends of so many interfaces, timing how quickly I can get a functional site design up on the web, browsing themes — I figured I was being punked when I first heard this part of my job description. Nope, I just have the coolest job ever. Let’s cover some of the highlights of choosing a web host for site building, and then I encourage you to poke around our reviews. You’ll quickly understand what I’m talking about when I describe my virtual playground of a work environment. There are two paths one can take to build your website: website building software, like WordPress or Joomla, or a drag-and-drop website builder provided in a hosting package. One option involves opening up an app in your hosting control panel and using a point-and-click methodology to customize a site. This is the WYSIWYG website builder route — where what you see is what you get. The second option involves going to that same control panel to download and install software made for blog or site design and customization. Both are easy and affordable, so don’t let software installs or funny acronyms scare you away! Route A: Using an external platform, like WordPress, Joomla, or Drupal, is arguably more suited for experienced site owners, but plenty of first-timers have taken on WordPress and fallen in love. We tested the top hosts for WordPress, as well as Drupal and Joomla, so be sure to check out our recommendations for hosting with these popular website building software programs. InMotion caters to WordPress users with hosting packages featuring the content management and blog building software pre-installed. With unlimited disk space at your disposal, you can build a custom, dynamic WordPress website designed to grow. If you consider yourself somewhat of a WordPress site collector, you’ll appreciate that InMotion Hosting lets you host unlimited WP sites on one account. Installing Joomla can be done in one click with SiteGround — just log into your cPanel dashboard and install the CMS software directly. While Joomla is a platform more suited for developers and seasoned site owners looking to build websites and manage content, it’s hard to beat the cost of SiteGround. Plus, you get a boatload of storage and domain perks, which extend SiteGround’s value as a host overall. Again, Drupal’s out-of-the-box security and SiteGround’s SSD speed are a match made in hosting heaven. The teams behind Drupal and SiteGround are each avidly committed to building robust technologies to benefit their users. Let it be known, we did warn you that Drupal is typically not for first-time site owners, but, frankly, neither is SiteGround. These two hosting and website building powerhouses are exceptional — a dynamic duo fit for proficient website owners and developers. Route B is by way of the WYSIWYG site builder. Many web hosts provide easy-to-use, drag-and-drop site builder tools to ease customers into the idea of web design. Next, we’ll talk about a few providers who really hit this out of the park. Drag-and-drop builders are strongest when made simple. This is a challenge for hosting service providers, as each step forward in simplicity risks two steps backward in intuitiveness. Balancing ease of use with functionality, the Wix web builder comes with tons of industry-specific templates. You can choose your aesthetic starting point, and point and click to customize to your heart’s desire. Who doesn’t love cheap hosting services? 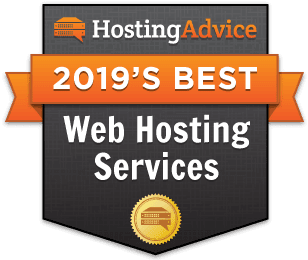 As much as everybody wants to go for free or the lowest price possible in any shopping endeavor, we frequently remind hosting shoppers to look at the overall value a hosting or site building package offers. Is a 99-cent website builder really worthwhile if you’re limited to one page, the theme designs are dull at best, and you barely have control over the color palettes? Instead, aim for a website builder with a trusted reputation in the industry. Weebly is one of the foremost names in the site building arena, and iPage web builder plans include Weebly as a standard. As much as it is difficult to top Weebly’s site builder prowess, iPage’s price is hard to beat, making their plans our favorite in affordable website building. Do you need a website builder for personal or professional use? Is it just you, or you and a team making this site happen? Will you need eCommerce functionality? Let’s discuss. Business owners have a lot to think about — there are product roadmaps, staffing decisions, P&L projections, and marketing. Who has time to worry about website building when you’d rather be focused on your trade? InMotion Hosting caters their plans to business needs, and their website builder is no exception. BoldGrid works on top of WordPress to turn the site builder software into an intuitive, drag-and-drop interface for impressive custom designs. Easily add shopping carts and payment processors, and you’re ready for sales. Backed by InMotion support, server reliability, and SSD speed, your business’s web design is in the best hands. Maybe your upcoming project is for personal use — an online résumé, portfolio, or the like. If that’s the case, surely time is of the essence, and yet you don’t want to sacrifice the look and feel of your personal branding. The Weebly site builder comes standard across iPage shared hosting plans, meaning you get one of the web’s most intuitive and versatile builders with the support of one of the most trusted web hosts. You’ll enjoy the thousands of unique themes and templates almost as much as you’ll appreciate the ridiculously reasonable price. If you’re not fortunate enough to be tasked with playing with web builders and getting paid to do it, I’m sorry. I really am. The good news is you don’t have to be a website building professional to get an online presence that looks like it was made by one! Sign up for a plan, play around with themes, and see for yourself. Get your hands on one of the builders above, and you’ll want to come up with an online project to take on, if you don’t have one in mind already. May the web building odds be ever in your favor!